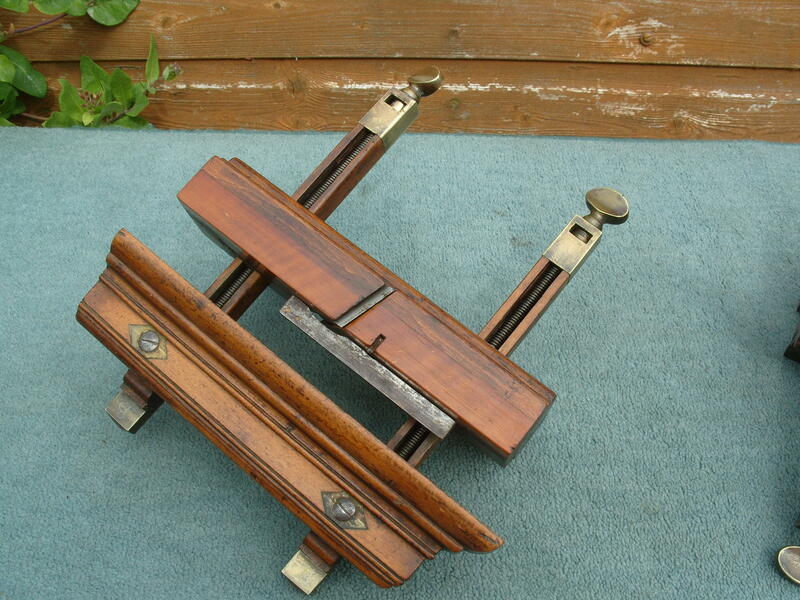 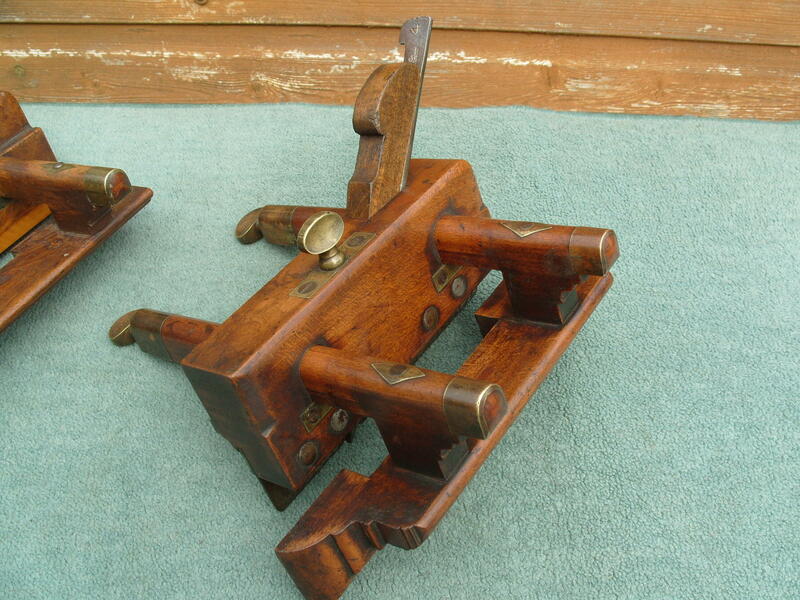 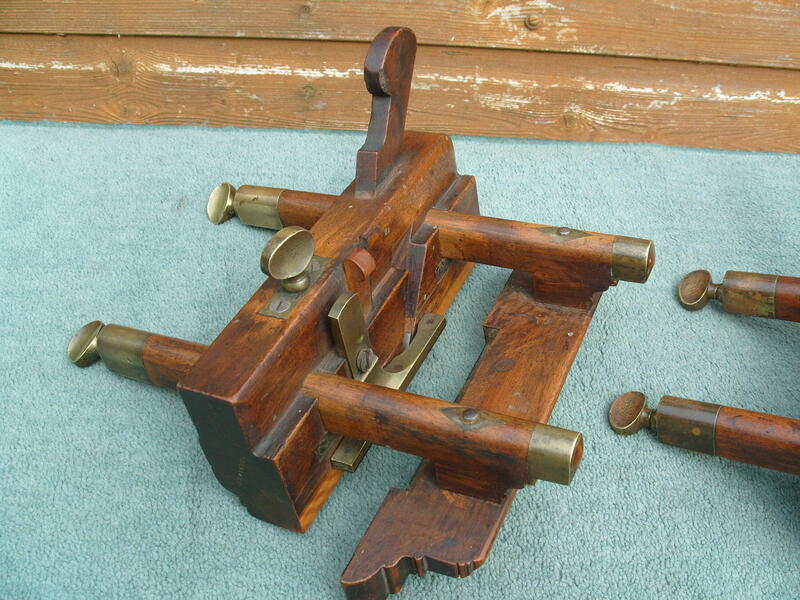 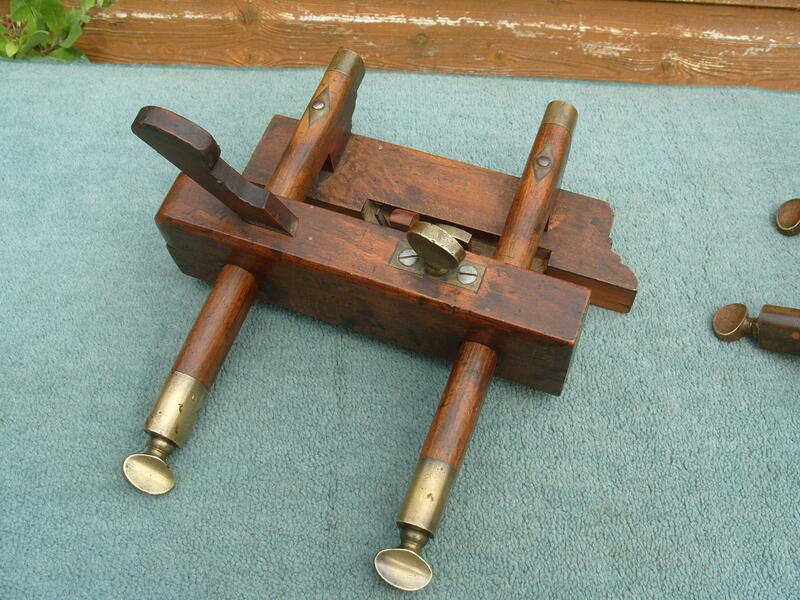 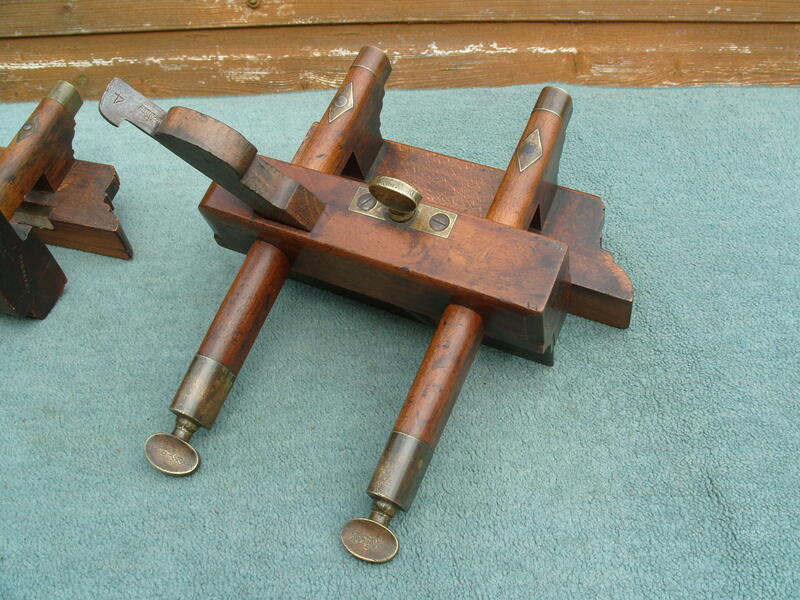 A very rare pair of thumb screw adjustable plough and sash fillister planes by John Moseley of London. 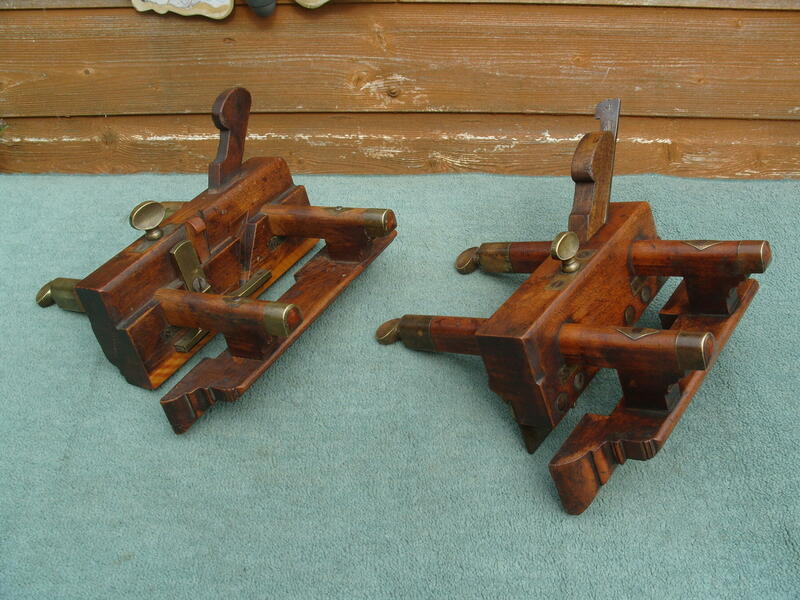 Similar planes typically have wedge adjustable fences but this unusual pair of planes have hollowed out fence arms with thumb screw adjusters. 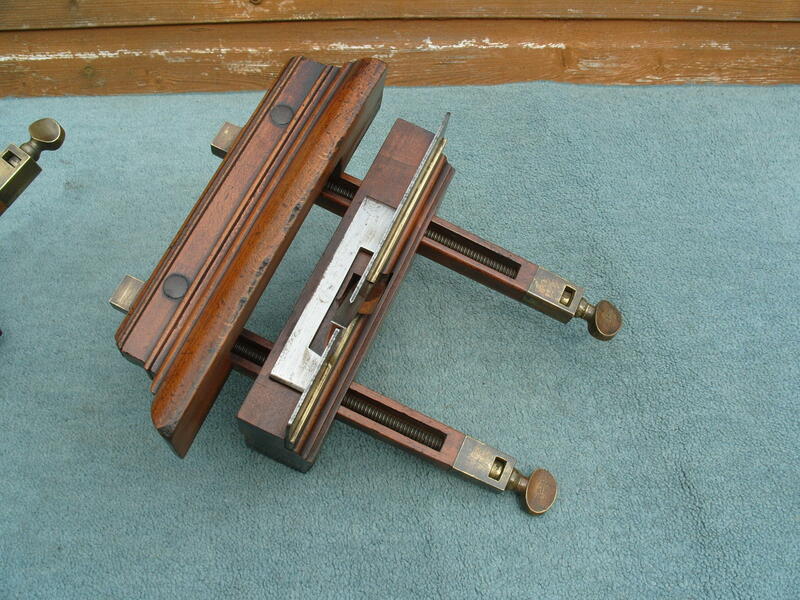 This configuration allows fine and precise adjustment. 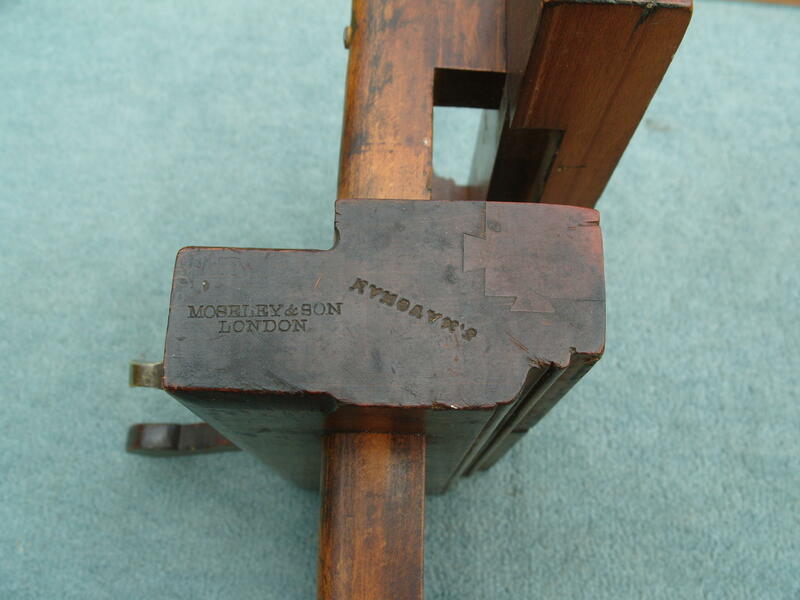 The plough is marked 'J.MOSELEY & SON NEW ST. SQUARE LONDON', dating it to the mid part of the 19th Century. 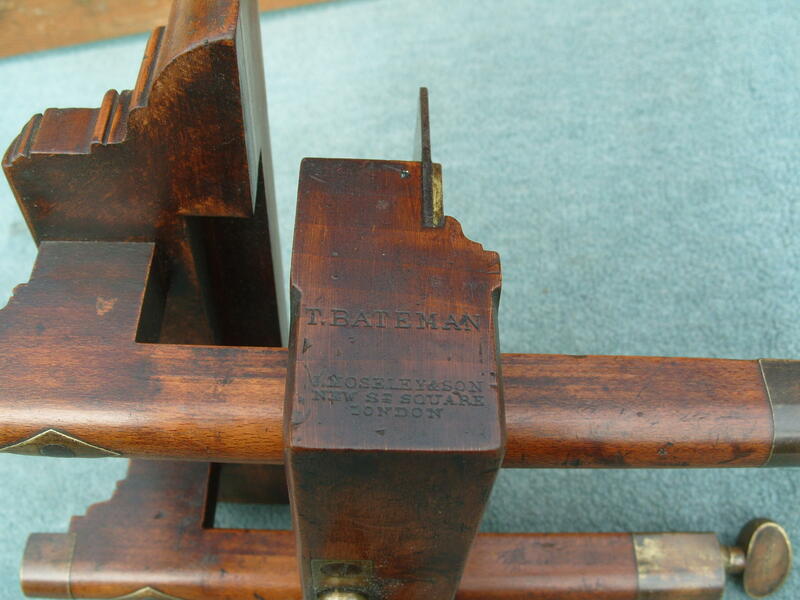 The sash fillister is marked 'MOSELEY & SON LONDON', making it a little earlier than the plough, circa 1819 - 1830.